The Lure of the Community Approach - OMG! Ubuntu! 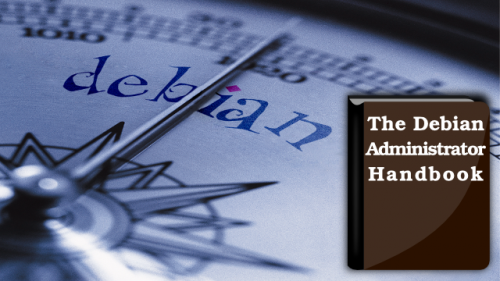 I recently announced the fundraising campaign for the Debian Administrator’s Handbook on Slashdot. To make it short, this project is about translating my French Debian bestseller (“Cahier de l’Admin Debian”) and then releasing this translation under a free license (provided that the liberation fund reaches 25000 EUR). The news attracted quite a few comments questioning the approach and the amount of money requested. Those commenters don’t want to pay to have someone else do the work, they want me to liberate the book and hope that the community will do the translation work (this is crowdsourcing). Put the French version of the book under a suitable license under Git somewhere, and watch the work unfold before you. Besides the fact that this is not possible because I do not own the rights on the French version, this is a lure that doesn’t give the expected result in practice. We want a book that is consistent in the style and in the vocabulary. We want it translated by people that are knowledgeable about the topics so that they can take the liberty to reformulate when needed without fearing to introduce a mistake. Even if we had multiple good translators, coordinating the work between all benevolent translators and reviewers is a job in itself. Precisely because they’re benevolent, you can’t expect them to follow any predefined schedule. I have been in the free software community for more than 13 years and I got more than enough “offers of help” that were never followed through. I don’t want to take the risk of letting this project fall on the wayside… so I prefer the crowdfunding approach where I am sure that Roland and I will do the work provided that we have the means to do it. Crowdfunding does not necessarily mean “donation” and “plea for money”, there are various rewards that you can get when you support this project. The basic reward is a copy of the ebook, but there’s also the paperback and even a one hour mentoring session with me among many others. To sum it up, this is a simple offer: if enough persons are buying the book, it gets done and maybe even freed. The goal is more than reasonable, 2500 persons putting 10 EUR each in the liberation fund (about the mean price of an ebook on Amazon) and we have reached the target, and everybody gets a copy of the free ebook. Did you pledge your 10 EUR? Some people believe that because this project is about producing a free book, there’s only one way to do it: collaboratively within the community. I don’t agree with this premise. Roland and I are part of the community and it’s not because we might be paid for this project that this changes anything about the real nature of the project. After all, Linus Torvalds is paid to work on Linux and nobody will claim that Linux is not a true free software project. This logic also hinders the progress of free software because there’s much more free software work to do than resources (in human-hours) available to complete this work. So the more free software work we can fund, the more free software will be produced. Honestly, people rather donate for end-user applications. I’d expect FSF to finance basic infrastructure projects. Unfortunately, nobody funds the work on dpkg. RedHat pays 2 people for RPM but for dpkg there are only 2 benevolent maintainers (and hundreds of bug reports in the backlog). Up to now my best “sponsor” has been my French book, the royalties that I earn each year cover between 1 and 2 months of my time. In the end, whatever you think of this project, it’s at least an honest deal: you buy a good Debian book (check the reviews!) for a reasonable price (min 5 EUR), and if enough persons buy it, it gets freed! Don’t hesitate any longer, click here to grab a copy! PS: Thank you to OMG! Ubuntu!, they are supporting this project: you can follow the progress of the fundraising with the dedicated widget in the sidebar. PPS: Even if you’re using exclusively Ubuntu, this book can be extremely valuable if you want to master the Debian technologies (e.g. dpkg, APT) that are powering your Ubuntu workstation, if you want to go further than just the graphical interface and if you want to administer your own server. Check out the table of contents.